The Dollars for Debt contest is back and it’s bigger and better than ever! There are $2000 in cash prizes to be won and $1 will be donated to Food Banks Canada for every person that enters and publishes the contest to their Facebook wall. We have a tool that lets you do this in 10 seconds! 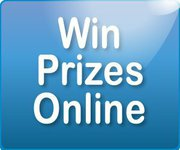 ENTER NOW to win money towards paying your bills!